CARLSBAD — The 2018 Winter Olympics are here. While everyone cheers on their country’s teams, often a certain Olympic event triggers a natural curiosity in them to understand what it’s all about. For some, one of those winter sports is curling, which hails from Scotland and dates back to the 19th century. In teams of four, a handmade granite stone weighing from 42 to 44 pounds slides across the ice toward a target of circles. After the stone is thrown, two sweepers brush frantically in front of the granite rock to guide its path to the target. The sport of curling is growing more in popularity here in the states, and there is even an organization named the United States Curling Association. That’s right, curling is happening right here in San Diego. According to Jenny Evans, president of Curl San Diego based out of Ice Town in Carlsbad, the sport of curling in the Olympics is relatively novel. This year, mixed doubles is a new entry to the Olympics. Evans describes curling as the fastest growing Olympic sport in the country right now. People interested in giving it a go can take part in a one-hour “Learn to Curl” session, which takes place in curling clubs all over the country. “You get in there and learn some of the basics,” Evans said. “You need zero physical conditioning for that.” She added that people just need to wear warm clothing. But for those who take the sport seriously, like elite athletes, strength, flexibility and strong cardio are a must. Why? Because there are intense periods of power and cardiac output, Evans said. Evans is quick to point out that that the granite stones are handmade in Scotland. The ice also needs to be prepped before playing. Water is sprinkled on the ice and pebbles are formed which allows the granite stone to curl. Evans began curling last year in the Midwest where a friend introduced her to the sport. She got hooked the very first time. After moving back to San Diego and working as a pediatric psychologist, she wanted to continue the sport of curling. “Curling is the best sport ever,” she said, adding that in Southern California, players have the luxury of playing year-round. Evans said there are a variety of reasons she is a fan of the sport. Aside from the athletic component of it all, curling is a game of skill and strategy. Some call it chess on ice, she said. Evans also likes the team camaraderie. 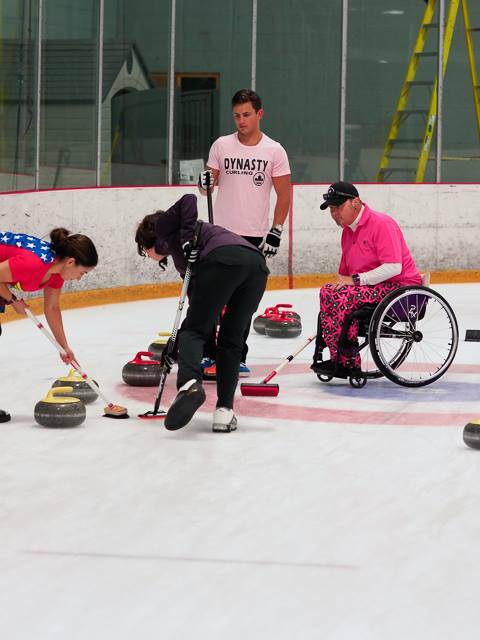 Evans wants people to know that curling is adaptable based on someone’s physical needs. Players can deliver the stone either in the traditional form using a hack (foothold in the ice and a sliding position) or standing using a stick to push the stone. “You can also curl from a wheelchair,” she said, adding that everyone plays together. Players have their own curling learning curve. The most important thing to remember is to have a good time, she said. 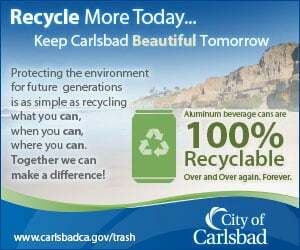 To learn more about Curl San Diego, visit curlsandiego.org and visit the organizations’ social media pages for “Learn to Curl” dates.